I always have frozen peas in my freezer. 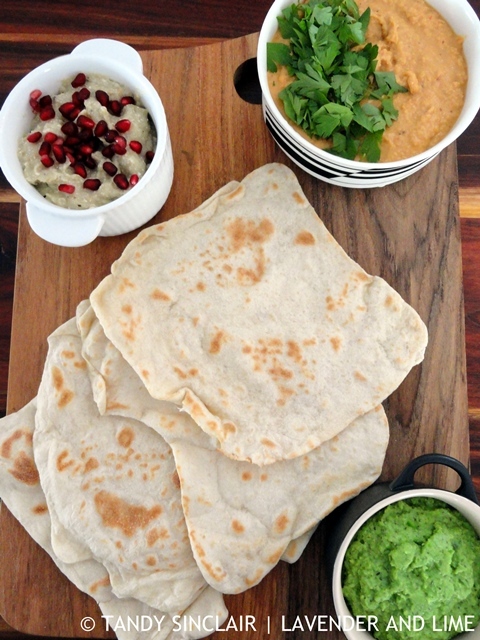 This means that if I cannot find fresh peas I can still make this pea and yoghurt dip. It takes no time at all and offers a lot of flavour for very little effort. Last year October Dave and I were in the UK. We got back before the last Saturday of the month. This is when the clocks turn backwards or forwards, depending on the hemisphere. We do not have daylight saving in South Africa so our time never changes. I always synch my watch to the time zone we are in and this is done via my cellphone. When we got back to South Africa I went straight back onto Central African Time. The following Sunday we had brunch plans. But before that we wanted to watch the qualifying for the Formula 1 race. I was in no rush to get ready as in my mind we had woken up early enough. While we were sitting in the lounge Dave told me we were leaving in 15 minutes time. I looked at my watch and told him we only had to be down the road in an hour. It was then that I realized that my watch was on summer time and had gone back an hour. So, I did not have time to spare. Thankfully it did not take me too long to get dressed. For some reason my watch has set itself to daylight savings mode and I cannot find where that setting is. Knowing it would do that I was more than prepared when it changed again in March. Not that I would mind to be on summer time in our winter. The mornings are really dark and I would much prefer to wake up with the sun. But even though I cannot do that, I can bring a bit of summer into the house by making this pea and yoghurt dip. Love the vibrant green color and the nice thing is that I always have frozen peas. Thanks Tandy. peas are just so handy to have in the freezer! for ice packs and i guess this dip (; haha. love how vibrant it is! I know what you mean about time changes and daylight saving. I nearly missed a meeting in the UK because I was out on the time by an hour. 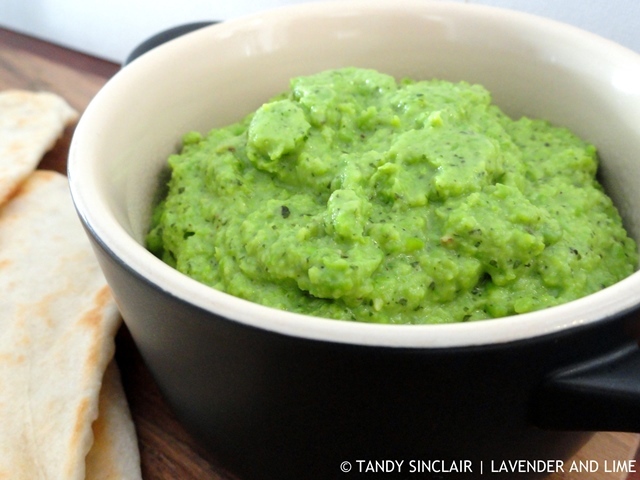 What a lovely idea – pea and yogurt dip. Mandy, where have you been?! !